What is coffee doing to your body? It’s fair to say that a lot of us are obsessed with coffee. Its rich, aromatic scent and diverse flavours delight millions across the globe every single day. For some people, it’s a social badge of honour. They meet their friends over a hot cup of coffee, scour laneways and city streets for the best brews, and pride themselves on their fair-trade, single-source coffee beans. Deciding whether to buy a cafetière, espresso machine or coffee pot is a very serious decision, indeed. We hail caffeine as a remedy for fatigue. It improves our concentration, focus and memory and gives us some extra get-up-and-go to help tackle the day ahead. It’s the same reason that people love tea, chocolate and energy drinks. But why does caffeine cause this energy rush? And why, if you have too much of it, can you start feeling jittery, on-edge and agitated? To find out, let’s look to the science. Caffeine works in our bodies by preventing the breakdown of a molecule called cAMP. One of cAMP’s tasks is to tell the body to make more adrenaline and noradrenaline. When cAMP doesn’t get broken down, the body produces more of these chemicals than it usually would. This kicks your body into fight-or-flight mode and causes your heart to beat faster and harder, pushing oxygen through your brain and body. This helps you to feel energised and seize the day. A lot of the benefits we get from caffeine also come from the effect it has on our brain. As each day progresses, a chemical called adenosine starts to build up in our brains. It binds to specific receptors and kicks off a chain reaction that primes the body for sleep, making us feel tired. Like most drugs, caffeine uses the bloodstream to hitch a ride into the brain. Once it’s there, it starts working as a gatekeeper at the adenosine receptors. It stops adenosine from binding to the receptors, which means the normal chain reaction that causes us to feel drowsy and drained never gets started. This helps us to stay alert and focussed. Does it affect us all the same way? Unfortunately, if you drink too much coffee, you can end up feeling jittery, tense and even nauseous as the body’s fight-or-flight response goes into overdrive. 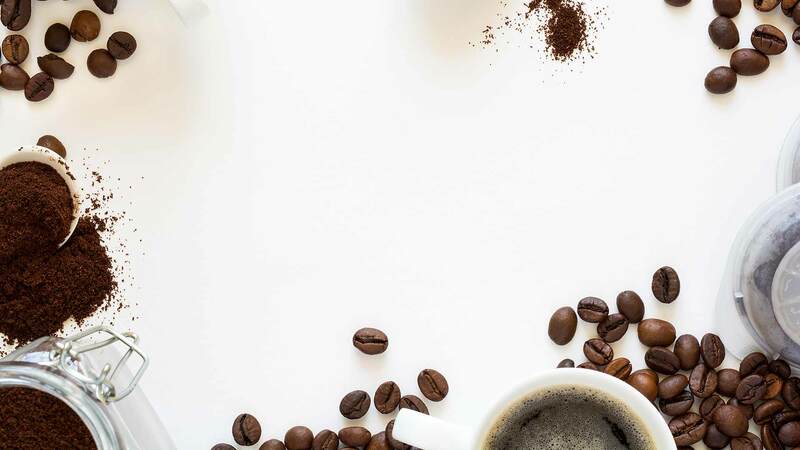 Although a lot of people will experience these sensations if they drink more coffee than they’re used to, some people are particularly sensitive to caffeine’s effects because of their genes. The ADORA2A gene controls how your brain copes with the caffeine that floods into it after you drink a cappuccino or a coke. Some people have a variation of this gene that makes them feel jittery more easily than those with a different version of the gene. Caffeine can make their reasoning, problem solving and reaction times worse and might not be such a bright idea if they’re trying to get through some difficult work. Fortunately, it seems like most people can adjust to increased levels of caffeine. So, if you’ve developed a taste for espresso or flat whites, you don’t have to go without. Your body will eventually acclimatise to the new levels of caffeine and you’ll probably start feeling less jittery. Interestingly, the ADORA2A gene seems to be a double-edged sword. People who have been spared from the genetic curse of feeling on-edge when they drink coffee are actually more likely to have problems sleeping if they drink it too late in the day. They wake up more easily during the night, have worse quality sleep and sometimes struggle to fall asleep in the first place. Although our genes play an important role in determining how caffeine affects us, there are many other factors that also play a part. A person’s age, diet, medications and even smoking status can influence how quickly they metabolise caffeine. For some people, it’s also an interaction between their genes and their environment. If you have a particular version of the CYP1A2 gene, then you can speed up how quickly you metabolise of caffeine by eating certain foods. Discover how your body processes caffeine with a myDNA Caffeine Report. Included in all Nutrition, Fitness, and Nutrition & Fitness bundle kits. Previous post: Are you on the right path to managing your pain?